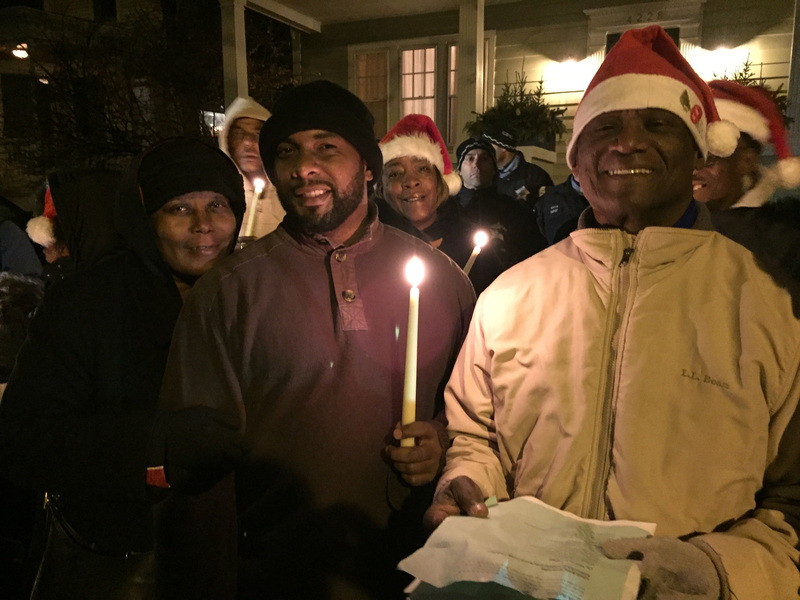 On Wednesday November 30 CHI coalition members went to the front door of Mayor Rahm Emanuel’s house (pictured right) with Christmas carols about homelessness in Chicago and the need for the city to pass the Keeping the Promise Ordinance. Transformation.” When the “Plan for Transformation” was introduced, a promise was made for 1-for- 1 replacement of demolished units. After years of no replacement, it was discovered that monies distributed to CHA for operations like reconstruction, rehabilitation, and rent payments were being stockpiled. At its height, CHA’s cash hoard reached $440 million. All the while, homelessness has become a more persistent problem throughout Chicago, and many tenants who were displaced at the onset of the Plan for Transformation remain displaced and lost in the system. The Keeping the Promise Ordinance looks to enforce the promise of 1-for- 1 unit replacement, while also introducing city council oversight of CHA funds. 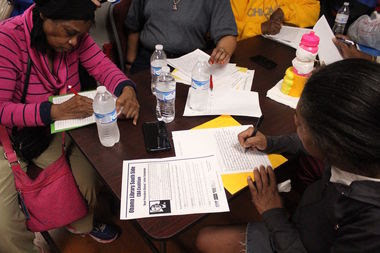 Tenants have also been organizing for a Community Benefits Agreement with the Obama Library. As part of the campaign to get a CBA tenants gathered to write personal letters to President Obama before he departs the oval office pending, requesting that he signed a CBA. In 2015, President Barack Obama announced that the presidential library commemorating his time in office will be built in Chicago in the heart of Jackson Park. Recognizing that the estimated $600 million project will affect all south side residents, tenants and community members across the south side have joined to demand that accountable parties—the Obama Foundation, the University of Chicago, and the City of Chicago—make legally binding agreements with labor and community organizations to provide much needed resources for south side residents in return for the loss of public park space.